This was back in the mid-‘90s when I’d first moved down to Bariloche in Patagonia, and I was just starting to find out about Priebke from the news reports about Italy’s attempts to extradite him for his role in the massacre that the Nazis had carried out in the Ardeatine Caves in Rome during World War II. John chuckled sardonically under his breath—something I’d learned he did when he didn’t believe a word you were saying. He reeled to his feet (we were sitting at his dining room table) and made his way to the kitchen where he kept his gin stashed out of sight of his wife, in a cubbyhole between a cupboard and the woodstove. His wife and mine were out on a walk along the lake and wouldn’t be back for a while so he wasn’t being as shy as usual about his gin. (Cheap white wine was what he favored throughout the day as his ostensible “sole drink of choice,” but the gin was what he used to keep his buzz going from morning to night). He deftly snatched the liter bottle of Gordon’s from its hiding place, poured a water glass half-full and, standing right there by the stove, he drank it down thirstily like water. “Want another beer?” he asked, clearing his throat, his diction, as always, incredibly unslurred. “No, I’m good for now,” I said, holding up my half-full can. “Suit yourself,” he shrugged, adding, “Just grab one out of the fridge when you need it,” and then he meandered back to the table, sat down and poured his water tumbler full of chilled wine from a pitcher that sat on the table between us. The wine he sipped as he thought about where to go next with the conversation. That was the way conversations went with John—no rush, nice and easy. Originally from New Jersey, he hadn’t been in a hurry since 1968, when he’d negotiated a golden handshake from his executive post in Buenos Aires with the Eli Lilly pharmaceuticals firm and moved to the 200 acres of mountainside he’d bought here in Patagonia with a business partner. Back then, they’d bought it for a song from the widow of the former owner, because it was out in the wilderness where nobody wanted to live. He still owned 25 acres of it despite having lived ever since on the profits he’d made from selling off his half a couple of acres at a time, once there was electricity and a better road to get here, and the area started becoming attractive to people with a little money who wanted to get away from it all. “Just your everyday, good-guy storm trooper, huh?” I goaded. “Not strictly true, John,” I said. “He never talks about it,” I said. “With good reason, I’m sure,” he responded. Then his face went serious again and he looked me hard in the eyes. On the mountain road that leads to my house, 20 clicks from Bariloche, where Erich Priebke not only lived under his own name for half a century following World War II but was also a well-known and highly respected businessman and community leader, there’s a sheet metal plate bearing his name on the post of an electrical transformer. There are actually two transformers on that road. The other one bears the name of another pioneer neighbor and architect, Raúl Bozzarelli. It was the practice of the local electrical cooperative, way back when, to identify the transformers for new areas of service by the surname of the first settler to request it, mainly because in order to have electricity, whoever arrived first had to pay for the installation of the transformer. Accordingly, if the lines are down and you call in for a maintenance crew to be sent out, even today, what the co-op will want to know is if your sector is Bozzarelli or Priebke. is if your sector is Bozzarelli or Priebke. Although Priebke had a home in town from the late 1940s on, at some point he had also bought about 15 acres of mountainous woodland fronting on the beautiful, glacial Lake Moreno and built himself a fine country home there. 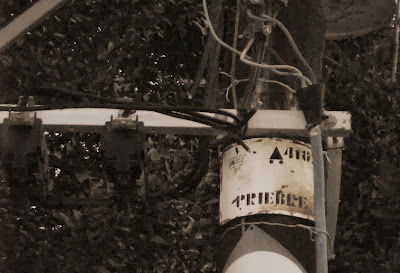 After Priebke’s extradition in the ‘90s to Italy for trial on charges of crimes against humanity, a neighbor or two tried to stir up a movement to get Priebke’s name removed from “our” transformer. But in the end, there was no real interest: Besides us, who’d see it, out here in the middle of nowhere? And even if they did, who’d care? Furthermore, the name on that transformer was the surname only and Erich Priebke’s family were still the owners of that land. A moot protest, then. So the sign still says “Priebke” on it, a reminder of the past when Don Erich was thought of as a respected neighbor, not a murderer, and when his family were well known and well liked members of the community, not descendants of a Hitlerian monster. That piece of land, where the Priebkes’ country home is, shares a property line with 70 acres of forest for which I’m the caretaker. So I used to run into Priebke’s granddaughter walking her dogs on the high road, or driving her little VW Saveiro pickup into town for supplies when she lived there for a time before moving, I’m told, to the United States. Sometimes too, one of his two sons and I would wave hello to each other when he’d come out for a visit to the place. But since Erich Priebke’s conviction in Italy, the only one I see from time to time, caretaker to caretaker, is Don Pedro, the Priebkes’ foreman, who still lives on the spread and is in charge of protecting it for the family. “The señor hasn’t been out here for several years now,” he said, his voice and face forlorn, when I met up with him while we were both on our rounds one day earlier this year. “Well, he’s under arrest in Italy, after all, and he’s nearly a hundred years old!” I said. So now it’s mostly just Don Pedro...and the Rottweilers that help him keep the poachers away—a case of the past catching up to the present and completely changing the perception of reality. Journalist, writer and former National Parks Ranger Abel Basti has been researching the lives of former Nazis in Argentina—and particularly in Bariloche—for the past 20 years now. His research for Hitler in Argentina and the book itself have gained him a reputation as a crackpot among detractors and as a knowledgeable authority among those who have long believed, like him, in cloak and dagger collusion and trade-offs between the post-war US intelligence community and the former Reich that permitted some top Nazis, including—if Basti is to be believed—the Führer himself, to slip through the cracks and live out their days in southern Argentina and Chile. Basti was sitting in Priebke’s living room interviewing him the day Argentine Federal Police officers arrived at the door carrying a Interpol order with them for the arrest of the then-octogenarian former SS captain. 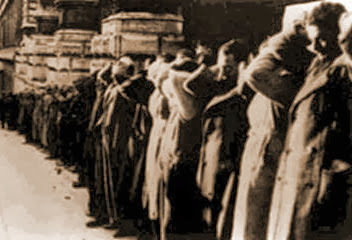 What would ensue was a very long process of extradition demands from Italy and Germany and appeals by Priebke’s attorneys that had the effect of delaying the inevitable for long months. But eventually, all of these tactics failed and the Argentine government, then under President Carlos Saúl Menem, eventually cleared the way for Priebke’s extradition and trial. 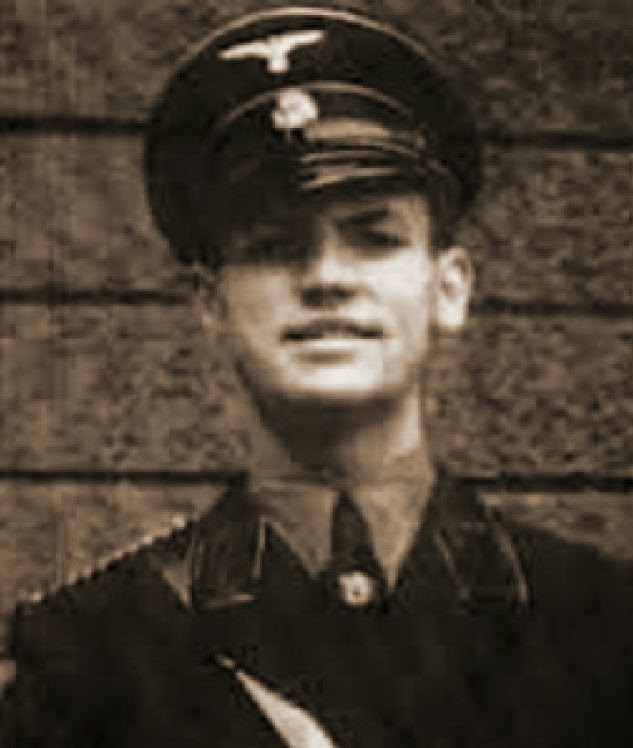 Shortly after Priebke’s extradition, going about his duties as a local reporter and correspondent, Basti would be surprised one morning to see a tour bus full of foreign visitors stopped in front of Erich Priebke’s home and hear the tour guide telling the travelers that this was the home of the infamous Nazi leader, Erich Priebke. Basti found this hilarious and immediately started toying with the idea of a satirical work, a sort of travel guide to Nazi points of interest in South America’s best known ski resort—and one of its best known havens for ex-Nazi exiles. Joking about it with me when we met on the street in town one morning, he asked, half in jest, what I thought of a “Nazi Bariloche” travel guide. Without batting an eye, I said I thought it would sell like hotcakes. A few weeks later, Basti called to say he’d written it and asked if I’d read it, and, if I liked it, write the back cover. The book, with my comments on the back cover, is now in its seventh printing, according to Amazon. The controversial cover bears an image of the famed Bariloche Civic Center but instead of the equestrian statue of General Julio A. Roca—revered by nationalists as the founder of modern Argentina and reviled by liberals and left-wingers as the author of a veritable genocide waged against the native population—an image of Hitler, in full uniform, right arm raised in a Nazi salute and standing on a pedestal has been photoshopped in. Shortly after it first came out, a close friend of mine in the tiny local Jewish community told me that Bariloche Jews were furious about it. Why, I wanted to know? Shouldn’t they delight to anything that brought the Nazis to light and smoked them out of their hiding places? That wasn’t how they viewed it, he told me. Things like this just stirred up the whole thing again and bred enmity. For instance, one of the places that Basti had marked as a Nazi site in his book was precisely where a Jewish couple had rented space for their business. Bariloche was a quiet town. Nobody wanted any trouble. But Basti’s main business was (and is) finding old Nazis—in recent years his works and documentaries have been published in Germany and elsewhere in Europe, though the United States continues to ignore his claims—and in a town that was a frontier outpost less than half a century old when the war ended and did much of its developing with a post-war wave of immigration, when popular dictator Juan Domingo Perón, a military man of well-known Fascist sympathies, opened the country’s doors to fugitive former members of the Reich—Bariloche is a treasure trove for such an investigator. Basti’s book, Bariloche Nazi, documents his claims with maps, photos, papers and drawings, so that, although it started out as a joke, it eventually became a serious work that some foreign tourists arrive carrying in their knapsacks or under their arms. But the book’s crown jewel is almost as inaccessible now as then: Incalco Ranch located on Lake Nahuel Huapi, on the opposite shore from Bariloche, the place where Basti claims Adolph Hitler and Eva Braun lived an idyllic existence after the war. It is an exclusive residence that, back then, was accessible only by boat or hydroplane, and it belonged to none other than Argentine businessman Jorge Antonio, one of Perón’s most trusted friends. 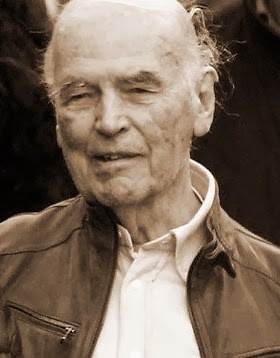 Born in Berlin in 1913, Erich Priebke died earlier this month (October 11), at the age of one hundred. He had been under house arrest (because of his extremely advanced age) in Rome since his conviction in 1996 for his part in the Ardeatine Caves Massacre. Priebke naïvely thought he could tell his story. The facts are historically simple if morally complex. Priebke was a 31-year-old captain in the SS police force, stationed in Rome under the orders of German Commander Herbert Kappler. 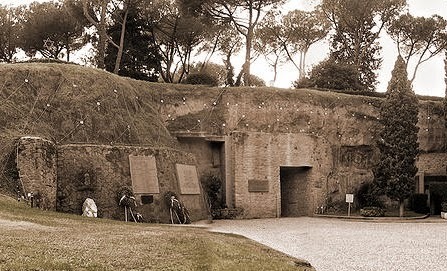 It was in the latter part of the war, in March of 1944, that Italian Resistance fighters attached to the Gruppi di Azione Partigiana (GAP) attacked a column of SS Military Police troops marching along Rome’s Via Rasella, killing 33 German soldiers by first setting off a bomb near the detachment and then attacking the group with small arms fire and hand grenades. Although never documented, Commander Kappler is alleged to have received direct orders from the Führer himself to execute ten imprisoned Italian anti-Nazis for every soldier to die as a result of the attack. It was Kappler who compiled the list of 330 people whom the Reich condemned to die in the Ardeatine Caves. Major Karl Haas (who was an SS Intelligence officer with a well-established reputation for ruthlessness that included sending hundreds of Jews from the region to Auschwitz) and Captain Priebke were placed in charge of rounding the prisoners up. Priebke was specifically charged with checking the list. And although the Italian courts that tried him, in principle, tended to agree that he had been a staff-grade officer following orders, his responsibility for the list and his own participation were what eventually condemned him. During the trial it was established that while the order was to kill ten Italian Partisans for each of the 33 German soldiers killed in the Resistance raid, the number of people killed in the Ardeatine Caves was 335, not 330—with five people not on Kappler’s list having been added by mistake. Furthermore, Priebke admitted to having executed two of the prisoners himself, as did Haas. Both Priebke and Haas were captured by the Allies following the war. Interestingly enough, however, while Priebke was held in a British prison camp to be bound over for a war crimes trial for his part in the Ardeatine slayings, Haas went from being a POW to allegedly going to work for US intelligence as a spy against the Soviet Union. Priebke ultimately escaped from the prison camp and, after some time in hiding, in South Tyrol, eventually received help from Bishop Alois Hudal at the Vatican, who reportedly aided him in obtaining false documentation and finding a new home in Argentina. There he would live under his own name for half a century until the team of TV reporter Sam Donaldson of the ABC network in the United States stumbled onto a less than successful clearance table book in which Priebke was described as one of the architects of the Ardeatine Massacre and decided to follow up on the lead, which took them to Bariloche. Largely unrepentant and always believing that he had only acted on orders and that the people executed at the Ardeatine Caves were, at the time, “terrorists”, Priebke naïvely felt that enough time had passed that he could talk about the incident and gave Donaldson an interview. Once aired on US television, the interview sparked outrage in Italy and the backlash led to Priebke’s arrest and extradition. Curiously enough, former Major Haas was called as a mere witness for Priebke’s trial. But as a result of his testimony, he eventually also ended up being charged and tried, and died under house arrest in a rest home near Rome at age 92. There can be little doubt that Erich Priebke, not a boy but a mature man of 31 at the time of the war, was a thoroughly committed SS officer and he played a key role in the organization of one of the most heinous Nazi war crimes of World War II. Nor can there be any doubt that, in trying him for his part in the Ardeatine Caves Massacre, Italy was doing long-delayed justice for a terrible atrocity. But where justice would appear to have turned to vengeance was when Priebke died this month. The Vatican (perhaps as damage control for the role of one of its own number in Priebke’s escape and exile) reportedly issued an unprecedented ban on his funeral’s being held anywhere in Rome. Priebke’s own native city also refused his body, fearing his tomb might become a pilgrimage site for neo-Nazis. In the end, his funeral was eventually arranged—not without violent protests—by a Catholic splinter, the Society of Saint Pius X—a group alleged to have Fascist and anti-Semitic sympathies. Their plan was to inter the former Nazi in the Italian city of Albano Laziale. Since protesters kept the body from being buried there, it was eventually decided that Priebke's remains would be laid to rest in an undisclosed location. But the cruelest cut of all, I feel, was Argentina’s refusal to repatriate Erich Priebke’s body. His last wish had been to be laid to rest next to his wife in the country that he had called home for half a century after the war. Despite the fact that the founder of the current ruling party, General Juan Domingo Perón, was clearly the key to the immigration of fleeing former Nazis in the post-war years, and although the Peronist government of Carlos Menem that preceded the current Peronist-led administration upheld the concept of “due obedience” that kept members of Argentina’s former military regime from being tried for human rights violations and murder until the current Peronist administration overturned that amnesty, the administration of Cristina Kirchner felt perfectly justified in turning down the Priebke family’s request that they be permitted to bring his remains home. Considering that congressional elections (where ruling FPV candidates aren’t expected to do well) are to be held in this country next Sunday, and that the current administration has blatantly used its early human rights stand to cover up abuses of power of every color ever since, not accepting the return of Priebke’s body seemed hypocritical at best and like political grandstanding at worst. What part could his family possibly have had, I asked myself, in the cruel and misguided decisions and choices that a young army officer made nearly 70 years ago? Didn’t the sentence against Priebke end with his death and shouldn’t his family have the right to mourn and bury him? In the story that García Márquez tells, the moral conundrum has to do, precisely, with when “enough is enough”, when blind justice turns to blind vengeance, and when the actions of a “just” society turn nearly as hateful as the sentiments behind the crimes they condemn. To my mind those are questions that emerged this month too from the refusal of the countries of his birth and choice to afford Erich Priebke a proper Christian burial in the presence of his family, no matter what crimes he was convicted of and sentenced for in life. And perhaps another question that this begs is how much more we know of compassion in dealing with his family and his death than Priebke himself did in making at least one major decision of his life. Argentina these days is a profoundly unjust and irrational country. It's high time we moved on and forgot and forgave. We would have to grow up as a country. Thanks for reading this piece, Haydee, and for your comment. Perhaps it is misguiding to invoke "justice". After all, we abide by the law and hope it comes close to that high standard. What we can and should insist on is the truth, in Nelson Mandela´s fashion. Unfortunately, justice ends up being confused with judicial revenge. Thank you for this piece, Dan. Food for thought. Thank you, Rab, as always for your thought-provoking observations. I remember you telling me about your conversation with the WWII American veteran, many years ago at Apertura. Great piece Dan. Many thanks for reading it, Claudio. І lіke tҺе valuable information ƴߋu provide in yoսr articles. here! Besst of luxk fߋr tҺe next!